Professor of Psychology and well-respected researcher Dr. Stanley Krippner explains how his research supports the reality of precognitive dreams. Andy Paquette: You’ve been studying dreams for the most part for the majority of your career. Do you feel that the case for precognitive dreaming is proven? Dr. Stanley Krippner: No, I don’t think anything in science is proven. Science is always open-ended. There’s always a chance of revising scientific theory based on new data. Andy Paquette: Of course, that would work both ways, as well, wouldn’t it? So what you’d really be talking about is what does the currently available information indicate? Dr. Stanley Krippner: That’s right. Andy Paquette: And in your case, from what you’ve seen, what do you think the currently available information indicates? Dr. Stanley Krippner: I think you can make a strong case for precognitive dreams. Alex Tsakiris: Today we’re joined by Andy Paquette, who is a former Skeptiko guest and is also the author of Dreamer: 20 Years of Psychic Dreams and How They Changed My Life. Now, Andy is joining us today because he recently attended the 2011 Study of Dreams Conference in The Netherlands, where he was also a presenter. While he was there he was nice enough to snag a couple of interviews for us and he’s here to share them with us. So Andy, welcome and tell us what you’ve been up to. Andy Paquette: I just got back from a few very beautiful, sunny days in Kerkrade, which is a little tiny town in The Netherlands that basically has as its centerpiece this enormous old monastery that I think was built about 1,000 or 1,100 years ago or something like that, where we had the IASD Conference. It was the first time I’d ever been there and one of the things I wanted to do, if for no other reason but just to see what would come of it, was to see if I ran into anyone who agreed to being interviewed for Skeptiko that I happened to think might be interesting to interview for Skeptiko. And as a result of being there and having things to do and not having things to do at certain times, I finally ran into a couple guys who I thought were worth interviewing. I’m just going to admit this to everybody: I didn’t know anything about quantum mechanics. I’ve read about it; I’ve seen some of these explanations, but somehow they all went over my head. I figured I’d just talk to these guys and get it all sorted out once and for all and for all those people on the forum who likewise didn’t really understand the argument so they’d know what it was, also. So that was the main thing I wanted to do. Alex Tsakiris: Great. Why don’t you set up first and tell us a little bit about who Stanley Krippner is and then we’ll go ahead and play your interview with him. Andy Paquette: Okay. Dr. Stanley Krippner has been researching dreams for about 50 years. I said that in the interview and he didn’t argue with me. I think that’s about the right number. I believe he started in the 60s or so. I think he’s the founder or the president of the Saybrook Institute in the United States which studies dreams. He’s done a lot of work on paranormal dreams. He’s written lots and lots of books. He’s also been a co-author on at least a dozen others. His most recent book is Debating Psychic Experience. It’s a collection of essays by various skeptics and proponents of paranormal studies. So that’s Stanley Krippner. Sorry for the long introduction. Andy Paquette: I’m here today with Dr. Stanley Krippner of the Saybrook Institute, a writer of numerous books on the subject of dreams. In particular, he’s written a number of books about paranormal dreams and he’s just recently come out with Debating Psychic Experience, which is a book that includes numerous articles by skeptics and proponents on the subject of paranormal phenomena in general. This is Andrew Paquette for Skeptiko.com. Dr. Krippner, I want to start by asking you, do you feel that as far as anyone who has actually looked at the data is concerned, the argument about whether or not paranormal phenomena is genuine is over? Dr. Stanley Krippner: No, of course not. In the field of controversial science, different people can make different judgments about the data. The controversy will not be over until enough evidence one way or the other is accumulated so that there is no more debate. And even then it won’t be over. Take a look at the theory of evolution. As far as I’m concerned, the evidence for evolution is overwhelming and it’s something that I don’t think even deserves an argument. However, there are some people who do not accept the evidence for evolution, who think that the evidence for evolution is badly flawed, who have other explanations for fossil evidence and for biological evidence and so they would tell us that the debate over Darwinian evolution is not over. So in many ways, it depends upon a person’s perspective and one must look at the credentials of the persons making the argument. Now I don’t think the credentials of the people making the argument against evolution are very impressive. Another example would be global warming. Most of the people like myself, who think that global warming is a real phenomenon, would say that the evidence is overwhelming. However, there are a few people with very, very solid credentials who do not accept the evidence for global warming. So that debate is still going on at a higher level because of the small group of people with good backgrounds in biology, geology, meteorology, who do not accept the evidence that the Earth is getting warmer and warmer and that human activity has something to do with it. You get into a field like parapsychology and the debate is wide open with outstanding people on both sides of the argument who take different positions. Andy Paquette: Let me ask you something about the connection between biology and consciousness, which seems to be at the heart of many contra-arguments regarding parapsychological phenomenon. For instance, we had some gentlemen today who were talking about quantum mechanics and how that can explain things like telepathy and precognition. Do you feel that such arguments are actually undermined by data put together by people like Dr. Ian Stevenson, which tends to suggest an external consciousness, non-body based? Dr. Stanley Krippner: Well, I see no conflict between biology and non-local consciousness. I think that biology can be at the base of all consciousness, whether it’s local or non-local, internal or external. So I personally don’t see the argument. However, I would say that some friends of mine would see an argument and they would say that if something is not biologically based in the way that they look at biology, it’s something that cannot be seriously considered or accepted. Andy Paquette: Do you have a personal opinion on whether consciousness is actually a brain-based phenomenon or if it’s external? Dr. Stanley Krippner: I think it’s both. Andy Paquette: Now that’s interesting. How do you explain that? Dr. Stanley Krippner: Well of course consciousness is brain-based. I think that one can explain a great deal of what happens in consciousness by looking at the substrates in the brain’s neurology and neural chemistry. However, remember that there are many people who look at brain-based consciousness as something where quantum mechanics is interacting and that there’s actually quantum activity within the microtubules of the brain. And whenever you bring in quantum mechanics you open the door to non-local consciousness and you open the door to an explanation of, as you say, Ian Stevenson’s book of telepathy, clairvoyance, and other phenomena as well. So again, it depends upon how solid a person’s argument is and whether their argument covers the bases and explains all of the phenomena that they are trying to explain. Andy Paquette: I want to make one clarification there because you mentioned Ian Stevenson’s book with telepathy which I am familiar with but the Skeptiko listeners have also been debating his work on reincarnation quite a lot. It seems it may actually be a stronger argument against a physical-based consciousness. Do you have an opinion on that? Provided, of course, that you want to accept Stevenson’s interpretation. Dr. Stanley Krippner: I think that Stevenson’s work is very impressive and he’s not the only one who has found these examples of people in this life who claim to remember incidents from a past life. However, I don’t use the word “reincarnation.” I think that the information about past lives might be a form of what we might call post-cognition, of coming up with information after the fact. Going into the past to get information that’s not ordinarily available. Andy Paquette: Are you thinking of this as some kind of telepathic information-gathering? Dr. Stanley Krippner: Closer to telepathy and clairvoyance, yes. And I don’t really see it therefore as being esoteric in terms of a person’s karma, a person’s progression from past lives. All of that is a little too esoteric for me. I would rather stick to the simplest explanation as possible for work like Stevenson’s work on people who remember incidents from somebody else’s life that they have no ordinary way of knowing about. Andy Paquette: Let me ask you this about Stevenson’s work. As a scientist yourself who’s been working for—gosh, it’s an awfully long time now, at least 50 years. Andy Paquette: You must have formed some kind of opinion of Stevenson’s credentials. How do you feel about those? Dr. Stanley Krippner: Well of course, Stevenson has excellent credentials. And many of the people who don’t accept Stevenson’s work also have excellent credentials. So here we’re dealing with a debate between people who both know what they are talking about. That’s one reason that the debate is very, very interesting to me. Because the people on both sides of the debate really are very well versed in biology and in memory and in human capacities. Andy Paquette: What would you say to someone who complained that it was possible Stevenson overlooked such explanations as a translator colluding with the informant? Do you find that to be a credible type of explanation? Dr. Stanley Krippner: For an example I would say, can you spell out how that could be the case because then so many translators and so many informants, hundreds of them in Stevenson’s cases–he has in his database at least 500 cases—and you’d have to say every one of those translators is in collusion with every one of the informants. That, to me, is really stretching the limits of credibility. Andy Paquette: Now, in your own work you’ve been studying dreams for the most part for the majority of your career. Do you feel that the case for precognitive dreaming is proven? Dr. Stanley Krippner: No, I don’t think anything in science is proven. Science is always open-ended. There’s always a chance of revising scientific theory based on new data. So in the English language–I don’t know what it’s like in Dutch–but in the English language I don’t think you should use “proof” when you’re talking about science. You can use the word proof when you’re talking about logic and proving theorems. You can talk about proof when you’re talking about whiskey and the percentage of proof that indicates how strong the whiskey is. But you can’t use the word proof when talking about science. Andy Paquette: Okay. And in the case of other types of paranormal phenomena, would you say that the currently available information is generally favorable towards paranormal explanations? Dr. Stanley Krippner: First of all, I don’t use the word “paranormal” because I think that all these phenomena are normal. I just don’t think that we have the equipment or the theories to explain them at this point in time. So I don’t like to use the word “paranormal.” But that’s a personal preference. I would say that the evidence is stronger for some phenomena than it is for others. Andy Paquette: After publishing your recent book, Debating Psychic Experience, have you managed to get any feedback on that from both the critics and the skeptics? Andy Paquette: Do you find yourself getting brought into the kind of conversations that you find in that book oftentimes in your research activity? Or do you manage to avoid that just by staying focused on your work? Dr. Stanley Krippner: Well, I don’t really make a big point of arguing in favor of parapsychology because I do think that the critics can make a very strong case. I would much rather argue in favor of Darwinian evolution. I would much rather argue on the issue of global warming, where I have very strong opinions and where I think that the opponents of these positions do not have available evidence. But I think that in the case of parapsychology, it’s an issue where I can really see both sides of the question. Andy Paquette: The reason I was asking is that that book focuses on the issue of whether this kind of thing is genuine, whereas it seems to me that your research interests are less about whether it’s genuine than what it is and what’s going on. Is that true? Dr. Stanley Krippner: Yes, that’s a good way to put it. Dr. Stanley Krippner: I haven’t, no. Some people have but I have not. Andy Paquette: Yeah, and they stop the debate at the question of whether it’s genuine and will not proceed further. Do you see a way around that so that things can proceed? Dr. Stanley Krippner: When a person has a closed mind there is no way around it because you cannot open a mind that is closed. I think one has to look for people who are open to debate, open to consider the possibilities, and open to enter into dialogue. Andy Paquette: Okay. We didn’t have very much time to talk today but I really appreciate your being willing to participate. Dr. Stanley Krippner: Well, I would urge your English language listeners to go to Amazon.com and order our book, Debating Psychic Experience, edited by myself and Harris Friedman, with contributions by outstanding people on both sides of the fence. Andy Paquette: Terrific. Thanks a lot, Dr. Krippner. Andy Paquette: I’m talking about dreams that clearly are not a simple fantasy invented by the dreamer. They’re dreams that are connected to something real, okay? By something real I don’t necessarily mean something physical that can be verified. Sometimes I think that’s something spiritual that is equally valid even if it might be harder for some people to accept that. Most commonly I’m referring to things such as precognitive dreams. You have a dream about a fire in a barn and it happens a day or a week later. Something like that. With enough specifics that you recognize the event as the one you dreamt about. Another kind is also called an “out-of-body experience” or remote viewing. That’s where you dream about something that’s happening roughly simultaneous with the dream. What you do when you come back from a dream like that is you remember what you saw around you and then you’re able to validate that by contacting one of the people who were present. In rarer cases you can actually validate it in other ways without having to ask somebody else. You just go to the location and you can see whether the environment tallies with what you remember. Alex Tsakiris: One of the things that jumped out at me the first time I heard this interview, and it just had me pounding on the table because it reminded me of oh, so many skeptical battles along the same line. And also of the current little tiff or topic we seem to be coming to again and again on Skeptiko, and that’s this push for the middle, or this forced middle that I perceive Dr. Krippner is kind of reaching for. I think the best example in the interview I want to chat with you a little bit about was the Ian Stevenson research on reincarnation. You did a nice job of pushing him on that and bringing up some of the skeptical objections–that perhaps Dr. Stevenson was duped, if you will, by translators who were colluding to change the stories of these subjects who had reported these reincarnations and the translators were just feeding him a line, basically. That’s basically the idea. And he says that’s just nonsense. You couldn’t put that together in a way that makes a lot of sense. And then later Dr. Krippner says he’s not willing to go and accept that the most parsimonious, the simplest conclusion from this research, which he admits has to be respected based on the credentials of Dr. Stevenson and by the way he compiled the research. So the conclusion, he says, is we can’t assume that these people really are talking about a reincarnation. It might be like some super-psi thing where they’re accessing telepathically the Akashic Records. If you just think about it, it’s such a silly kind of explanation. Andy Paquette: Well, yeah. My daughter heard that thing and she said, “Is he kidding?” This does not sound like the simpler explanation. To me, that looks like somebody trying to get up a greased slide—anything to get away from the explanation they don’t want it to be. I don’t understand why the reincarnation idea is so repellent to certain people, but it definitely is. See, for what he is suggesting to work, some little kid has to use this super-telepathy to not only access memories from some person he doesn’t know, who doesn’t know him, who’s some distance away. But because that person only has access to say one fact that the kid happens to mention to Dr. Ian Stevenson, he’s then got to go out to some other person who also probably doesn’t know the other guy but knows the deceased personality. And he has to do this over and over again with maybe 50 or 60 different people in order to accumulate enough information to say the things that the kid says. I just find that really, really strange, ridiculous, and far too complex to agree with. I just think the simple thing is the kid says, “I was this guy.” Fine. I’m willing to accept that. I mean, the kind of information these kids are coming up with, especially when you combine it with the stuff you get out of Gurney and Myers and all those guys from the British Society for Psychical Research. I think it makes a lot more sense. Alex Tsakiris: Agreed. So let’s move on then and talk about the second interview that you had. Let’s tee that up a little bit. Andy Paquette: All right. It was Mark Hagen and Reto Holzner, both of the University of Zurich. Reto Holzner is a physicist, primarily a laser physicist but lately his work is in quantum physics. Mark Hagen is a clinical psychologist, also from the University of Zurich. They’re both on the faculty there, is my understanding. They’ve both been exploring the brain and consciousness. Apparently Mark Hagen is a frequent visitor to these dream conferences, so they’re both studying dreams. For the weekend they were talking about Pauli and his research into dreams and the difficulties he had because he wanted his Nobel Prize so he didn’t feel too comfortable talking about his basically Jungian research. That’s where they’re coming from. Andy Paquette: So the thing is, I’d like to introduce Mark Hagen and Reto Holzner. Why don’t you guys tell me what part of your background I should mention in the introduction? Mark Hagen: I’m from Canada. I have a Master’s degree in clinical psychology out of the University of Zurich. That’s where I met Reto. He was a physicist. I think he was working on his doctorate at the time when I met him. That was over 30 years ago and we’ve been talking about the brain and how it works from a classical physics perspective, from a quantum physics perspective, from a computer analogy perspective. We’ve talked about all sorts of different perspectives over the years of how the brain might be creating a reality here that we see here today, and also how it might be processing during dream states. Reto Holzner: Yes, as you mentioned, I’m a physicist. Exponential physicist, so my main experience is in laser physics and momentum dynamics. I got my Ph.D. on chaos theory and we produced actually the first recorded NMR laser because it was not a laser with light but was radio frequencies. We could prove all these theoretical issues and we could see these frequencies, Doppler position to chaos, that kind of thing. All classical. But then I moved into lasers where light is involved as quantum physics. As you mentioned, I’m also interested in other things, among them how the brain works and I’ve just considered a dream as part of many other ways the brain can function, you know? The brain works at night under certain conditions and we have some ideas that the dream is mainly used for modeling whatever is around, coming to conclusions which may act like the feed forward on your future life, as well as a kind of organizing your past, making sense of it. Because it’s very much the same as when you run computer programs, for example, for weather forecasts. Just a bit more complicated. Alex Tsakiris: I think this plays out pretty much the way you described it. Let’s dig in there a little bit and talk more about this idea that quantum mechanics works well as long as we don’t look at any data that doesn’t violate the basic idea of it. Because I think that’s so well-said. A few episodes back on Skeptiko we interviewed Dr. Stuart Hameroff who is a very nice guy and I appreciated him joining me and all that stuff, but it seemed like we were headed kind of the same way. Then I had a follow-up discussion with him via email when I interviewed Dr. Lakhmir Chawla and again, it’s like they have these ideas until you say, “Yeah, but here’s the real hard data, the difficult data that we’re trying to figure out.” They go, “Well, yeah, it doesn’t really handle that case.” It’s like then aren’t we just playing around here? Andy Paquette: Yeah, that’s kind of the way it sounds. By the way, they mentioned Hameroff quite a few times. But for telepathy they were looking at out-of-body experiences and remote viewing—well, let’s just say remote viewing as a kind of telepathy. And telepathy, the explanation went, could be explained by quantum entanglement and quantum entanglement is when you take two particles and they’re made at the same time. They have the same properties but they’re separated. They remain entangled so the thing is if you measure one you still get information on the other. The problem with the idea is that they do something called “de-cohere” really rapidly and if they’re at any distance from each other or they interact with anything else. So what they were basically thinking is that if we extrapolate–and here we have what I would consider to be a very large extrapolation when you consider the size of these particles compared to the events they’re comparing them to—you’ve got one thing that is like a mirror of the other thing until it’s so far away that other things get in the way, okay? Also, the kind of information the particles had was very limited. You have a spin; you have an orientation; you have a speed. This kind of stuff. It wasn’t the life history of a leaf of grass or where your grandmother buried her pearls. That kind of stuff you just didn’t have. Now, his idea was that you could make a quantum computer out of this because you could use these as like bits of information and then you could manually force it into a configuration that would allow you to store information. Of course, where the skeptics are wrong, and even I can’t believe they went there is that where quantum mechanics has really led us is that these quantum effects have now been demonstrated in larger and larger entities, more than a particle. And even in biological entities. There’s even a batch of neurons that have demonstrated the quantum effect. But it doesn’t matter when we look at the data that so strongly contradicts the basic idea that mind equals brain. I think that’s why we’ve had that discussion before and the discussion has come up on Skeptiko. That’s why I think we always wind up there. And that’s why we wind up with, as you were talking about, after death communication. Or we wind up with near-death experience. We go, wait a minute. Forget all that. How can you have this if you don’t have a brain? And clearly we have consciousness without a brain. Shouldn’t that be the starting point for these discussions rather than to spin off paper after paper and debate after debate just conveniently, as you said, looking away from the data that’s most relevant to the hardest question? Andy Paquette: I tried, believe me. I was sitting here thinking, ‘I’ve got to ask these guys about consciousness.’ And you know I did. I asked them several times, trying to get their attention onto that. Actually, Hagen took most of those questions, but he really wanted to just say, “Well, consciousness is the big enchilada,” and make a joke about it. Then all of a sudden I’d have no answer. At the end I think it was Holzner who said that the brain creates the mind and the mind creates consciousness, which basically completely ignored the comments I was making about reincarnation, for instance, and the after death communications and so on. Conveniently for all of us, they’d never heard of that research. I mentioned Dr. Ian Stevenson and it was like I’d mentioned some unknown person to them. I had the impression they had no idea who he was. Andy Paquette: Yeah, I’d have to say so. If you’re going to be researching the brain and consciousness and dreams and things like that, I would think it would be kind of hard to avoid mentions of the reincarnation studies. Those are pretty prominent in the paranormal literature. 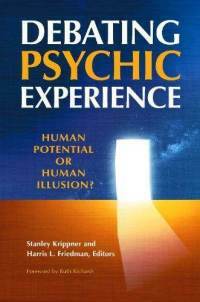 In fact, I have to say in my opinion, Stevenson’s books are a must-read for anybody interested in parapsychology at any level. Alex Tsakiris: It’s really disappointing on the whole. I mean, both these interviews. Not the way that you did them, of course, which was very nice, but someone like Stanley Krippner who so many people revere and look up to because he’s been around so long and he’s published so widely—it’s just so disappointing to see that they just can’t really come to the real issues. It makes you wonder what the prospects really are for progress in this field. Or maybe it’s just the old one funeral at a time thing about progress. Andy Paquette: [Laughs] I don’t think it’s one funeral at a time. I think it’s worse than that, I’m afraid. The thing is, you had fantastic data running around in Victorian England, also. Andy Paquette: It only went so far. I think that only as many people as can handle it will bother to look at it and appreciate it for what it is. I really seriously doubt this is going to become popularly recognized, in the West anyway, without some kind of spiritual revolution. I think that’s what it would take. I think it would take something that can fight back against the advent of the wonders of technology, which have basically superseded all interest in spiritual subjects. Alex Tsakiris: Well Andy, I think we’re going to have to leave it there, but it was certainly great for you to bring these interviews to us and share them with us. In our little dialogue before, you told me that you might have one or two up your sleeve so we’ll look forward to those, as well. Andy Paquette: Okay. Thanks a lot, Alex.